What’s your business’s most important asset? Is it your downtown office space, the cutting-edge enterprise software you just splashed a cool six figures on, or is it the portfolio of products and services you’ve built up over your career? While these are all great answers, they’re also fundamentally wrong. An economic analysis from Korn Ferry Institute shows that human capital brings more than two times the value of tangible technology and real estate. That’s an estimated $1.25 trillion in annual global revenues that come from good old-fashioned human ingenuity. It’s something I bring up time and time again on the Expat Money Show, if you want to see big returns then you have to start investing in yourself. Although your 12-hour workdays might seem like a necessary sacrifice on the path to success, in practice nothing could be farther from the truth. To start with, you could most likely achieve the same amount of productivity on a far more conventional schedule with more effective time management. But more importantly, if you’re not seeing the type of results you want under your current business model then what makes you think that more of the same will help you achieve your goals? Wasn’t it Einstein that said, repeating the same process over and over again expecting different results is a sign of insanity? If you want to see real, sustained success, then you need to start developing your own ideas, skills and talents; invest in your personal and professional growth and you will see the result reflected in every area of your life. My podcast with Stephan Spencer is a great primer for many of these concepts. Stephen is someone who has invested hundreds of thousands of dollars on developing every aspect of his life. Over the past decade he has spent months under the tutelage of spiritual leaders in India, he has studied the secrets of health and fitness with biohacking experts like Dave Asprey, and he’s formed enormously fruitful relationships with motivational titans like Tony Robbins and Neil Strauss. Note, that this is despite the fact that he is already acknowledged as one the foremost SEO experts in the world, with multiple successful ventures under his belt and a PhD-level education in chemistry to boot. Both Stephen and I share a common belief that the events, seminars and conferences we have attended over our entrepreneurial careers have been key drivers in our accomplishments throughout the years, as well as the successes that are yet to come. It might sound like hyperbole, but it’s true. The fact is that 30% of businesses won’t even make it past 24 months, so you definitely need to start thinking outside of the box if you’re going to buck that trend. Seminars give you a great opportunity to scope out the competition, and figure out how industry leaders are making their millions. Most of these events play host to innovators and influencers that are actively changing working processes within their sectors, these individuals are an invaluable resource for the latest developments in your field. The insights you gain from one 2-hour presentation can carry you through a whole year of discovery and improvement. But even more importantly, seminars are a great way to find out what doesn’t work. In your conversations with other entrepreneurs you will come across numerous stories of failure from people with far more experience than you. Take these stories for what they are, one-on-one lessons from some of the sharpest minds in the field. If you don’t want to be part of the 30% then you need to start taking notes. Eighty-five percent of job opportunities come from in-network recommendations. One dollar of investment in travel, can net you $12.50 in value. In-person meetings are closed at a rate of 40% on average. If you’re looking to grab new clients and forge powerful partnerships in your industry of choice then what better place to do it than at a global event that draws like-minded individuals at the forefront of the business world? Seminars and conferences are also a great place to garner invitations for even more exclusive gatherings that could take your brand to the next level. Make sure to accept any invitations to catch up and talk later. Set a firm time for a follow-up and take the initiative if your potential partner seems busy. Just one of these contacts could be the start of a relationship that revolutionizes your supply chain or marketing. Sure, partnerships can put your business in front of new markets in more effective ways but a six-figure client could change the entire direction of your business for years to come. Seminars bring in high-caliber professionals that are ready to make deals if the right opportunity presents itself. Your job is to make sure that you bring those opportunities to the table. If you’ve listened to the Expat Money Show podcast before, then you’ll know that I am absolutely obsessed with great sales funnels. For my money, nobody takes customers through the path from attraction to conversion better than the people over at Click Funnels. Funnel Hacking Live is a four-day conference that’s geared around helping attendees build and develop their own industry-optimized funnels. At any given time you’ll find yourself rubbing shoulders with a veritable laundry list of the most successful funnel hackers in the business including Peng Joon, Russell Brunson and Anthony Di Clementi. Contacts like these make Funnel Hacking Live, more than worth the price of admission. TNW is an invitation only conference that happens around the world in multiple locations. Cutting edge startups and thought leaders gather here to discover innovations in AR & VR, , Cyber Security, AI and Blockchain Technology. Originally started in Holland TNW has become known as the Mecca of the startup tech world. If you’re looking for a broader focus on personal and professional development then the Human Gathering more than matches up. This invitational LA-based event draws celebrities, investors, entrepreneurs and C-suite executives from almost every background imaginable and puts them together in a conference environment that’s conducive to real conversations and knowledge sharing. If you’re an up-and-coming entrepreneur with the world at your feet then you need to attend NextGen. This conference is self-admittedly built by young entrepreneurs for young entrepreneurs and the speaker list attests to that. As you learn the tricks of the trade from genius marketers, tech whiz kids , athletes and millenials investors you’ll also find plenty of time for R & R in the bowling alley and laser tag arena. I’m truly convinced about the transformative potential of seminars, conferences and mastermind events. I believe that these entrepreneurial communities have the power to take any business owner to the next level, professionally and personally. To demonstrate this commitment, I’ve recently taken the first steps to set up my very own Mastermind Program.  This is an extremely exciting opportunity that I can’t wait to share with my Expat Money Show listeners in the weeks to come. If you can’t wait to find out more about my Mastermind then feel free to contact me at support@MikkelThorup.com, I will be more than happy to fill you in on the details and keep you informed in the run-up to our first big event.